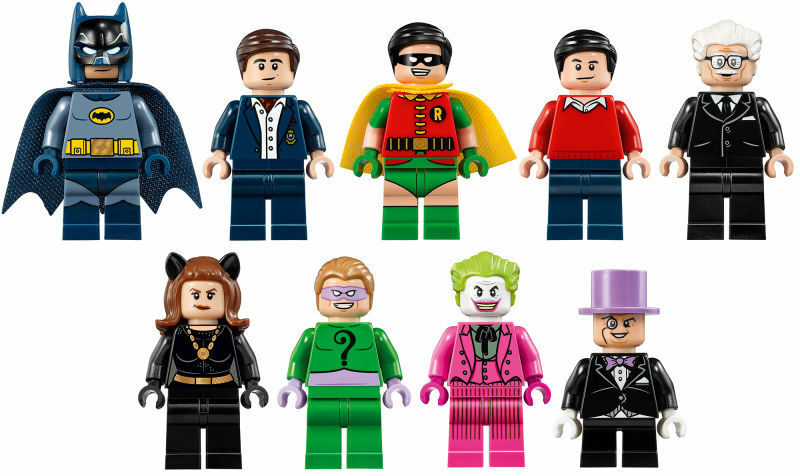 nerdy views: Holy LEGO Set Batman! LEGO Batman is pretty popular. He was a featured character in The LEGO Movie, and has his own upcoming spinoff film. 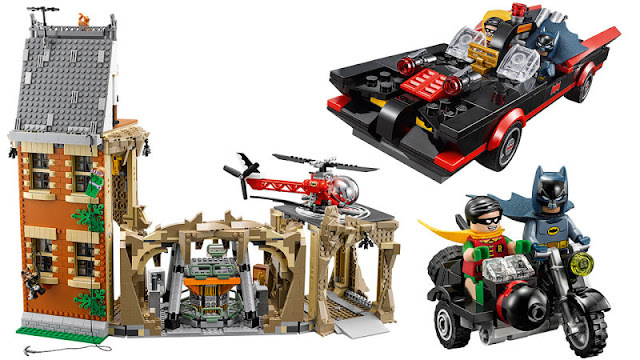 Now the classic 60's Adam West Batman is getting his very own set complete with Batcave, BatCopter, Batcycle, and Batmobile! Here are the designers revealing LEGO set # 76052, which comes in at over 2,500 pieces. The set will be available in March for $270. Admittedly, I probably won't be buying this set. I've already got that money earmarked for a certain firehouse set I still need to buy. ;) But I still think it's cool, and if you have the space, why not? But the mini-figures in this set are totally cool! You get Batman & Robin AND their alter-egos! Along with trusted butler, Alfred you get the four major villains. Catwoman looks awesome, and I like how the Joker still has Caesar Romero's mustache which he refused to shave off for the show. And I'd love to get my hands on a Batmobile if they sold this separately.